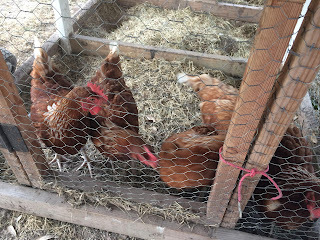 Some of my favorite animals on our farm are our chickens. A year ago, my family spent six weekends building a palace of a chicken coop for our first farm animals. We drove an hour and a half to find our darling chickens, and it was absolutely worth it. We came home with six hens that are crossbreeds between Rhode Island Reds and Delaware Whites. They faithfully lay the biggest brown eggs we have ever seen. They are so prolific that we often have way too many in our refrigerator. On our new land, our chickens were able to free-range for the first time, and they loved it. The sight of those beautiful little hens pecking around in the grass outside is such a blessing to first-time farmers. Well, not anymore. But last February, we received three little pigs, and boy were they cute! Penny was grey and pink, Patty was black and pink, and Persephone was solid pink. Tragically, Persephone ate plastic, and this turned out to be fatal. The other two survived, but because of city regulations, we were forced to move them to someone else’s property 30 minutes away from home. All through the summer, my family drove out to see the pigs every other day, and we hauled 50 gallons of water up a hill through the landowner’s donkey pasture in order to keep our pigs cool. Last November, they reached full size, and my dad harvested them for about 550 pounds of pork. It is all natural and homegrown, and it is healthy, non-greasy, and delicious. It was sad to see the pigs go, but we have been so thankful for our pork. Besides, we get to raise some more this year! 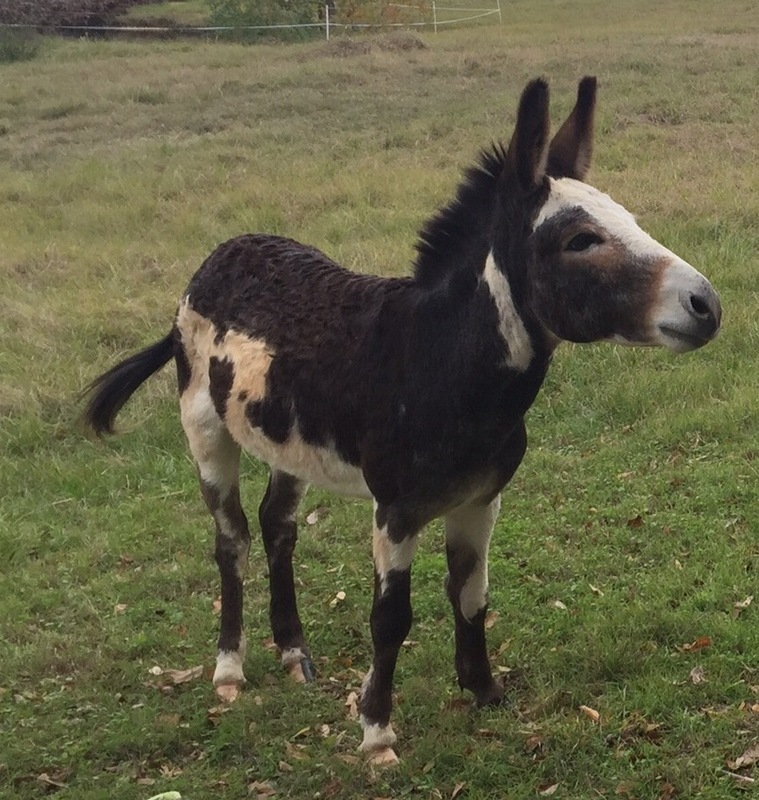 Our tiny, brown and white donkey is such a joy. While we were lugging water to the pigs, we befriended the four donkeys and the horse that lived on the property. We didn’t know what the owner had named them, so we came up with our own names: Auburn the horse, Bella and Snowbelle the female donkeys, and Friederick Dean the baby donkey. Our favorite donkey was Fitz, the adult male. Because of the curly fur on his back, we named him after Leo Fitz, the character from Marvel’s Agents of S.H.I.E.L.D. He was so sweet and followed us around everywhere. When we no longer had the pigs, the farmer who had hosted our pigs gave us Fitz. This stubborn donkey fought hard against being loaded into a trailer, and he has been pretty skittish ever since. We were only allowed to keep one large animal on our land, so we only had him, but he had cows and horses in bordering pastures. He was still very lonely and brayed at us every time we walked by. Now that we are on our new land, he lives right next to another donkey, and they love to run and frolic around and bray at each other. Our pet rabbit, Charlie Brown, is the son of our best friends’ rabbits. He has beautiful white, black, and red-brown fur, and it is so soft, you just want to bury your face in it. He lives a charmed life, hopping around in his castle of a rabbit hutch outside and eating fresh dandelions and clover every day. He loves to peek through the window at our curious cat Demodicus, and Demodicus stares right back. Not too long ago, three of our neighbors’ dogs got onto our property during the night, and tried to break into the rabbit hutch and eat our rabbit. Thankfully, some of our visiting friends heard the dogs scratching around and my mom was able to chase the dogs away. Charlie Brown is a dear pet, and a very spoiled rabbit. Finally, our two cats, Dexter and Demodicus, are the pampered pets that live in our house. We got Dexter five years ago for my sister’s ninth birthday. He has the softest, most beautiful grey striped fur, and he is so affectionate. When you pick him up, he just melts into your arms and purrs, and he loves to sleep on laps or right beside you. Demodicus is just barely a year old, and he is a perky white kitten with black spots. He loves to chase bugs, birds outside the window, and anything moving. He doesn’t like to be held, but he is so cute when he sleeps. Demodicus will often tackle Dexter, or bite his ear, or roll around with him, but Dexter just puts up with him. 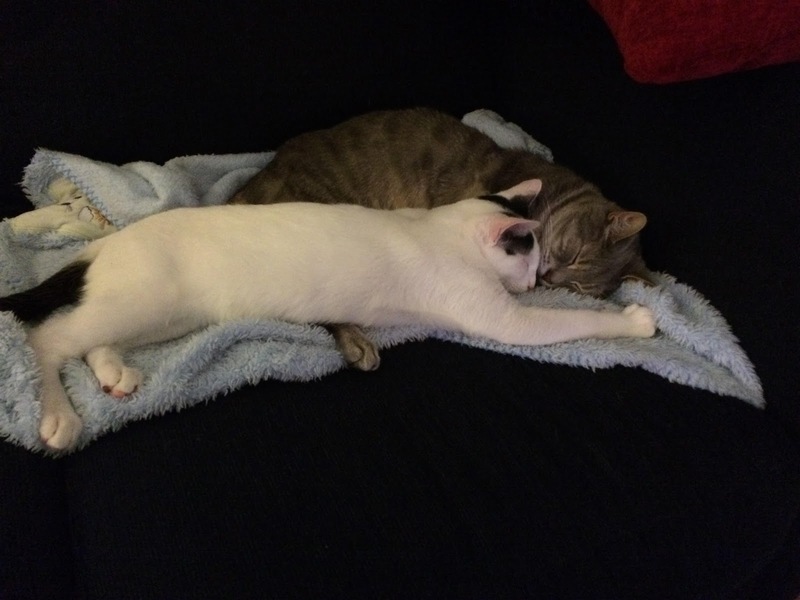 They are some of the sweetest kitties I have ever met. Do you have any pets that you love? If you don't, what animals would you like to have? Does farm life appeal to you? Let us know in the comments! What a fun post, Hannah! Thanks for sharing about all your animals, complete with cute pictures :) We had some cats growing up, but this reminded me a lot of my husband's family who lived on a hobby farm and had chickens, a few cows, and a horse. Wow, Hannah! I had no idea you had so many animals. . . is it a lot of work to care for them? We have one very spoiled poodle/bichon rescue who is going to get her hair cut today. : ) Thanks for all the pictures! Your donkey is so cute! I enjoy horseback riding, though I don't do it often. I like the idea of having horses, but I also know it would be a lot of work and very expensive. Thanks for sharing about your family's farm! I especially enjoyed seeing all the pictures. Hannah, I loved this post! What a fun idea to blog about your extended family! :). Great to see pictures of them too...very nice job! We miss you!! This is a great post! We have one dog, who thinks she is a princess and loves everyone. :) I think living on a farm would be fun, but I wouldn't be able to own any animals we were going to kill for meat (or kill at all). I'd be too sad. However, I love animals and gardening and think it would be so much fun to grow all our food! Nice post, Hannah! You do have quite a few animals ;) I hope I get to see them sometime! Thanks so much, everyone! I'm glad you like the pictures. Pets can be so special! @Erin - It not too much work, but depending on the time of year, it can be a lot. 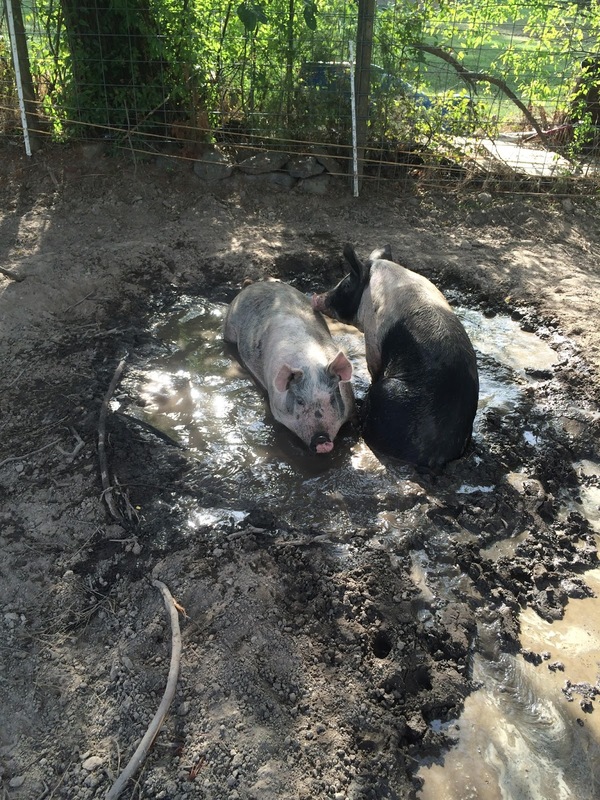 The pig upkeep was especially time-consuming. @Melinda Allen - I would imagine it would not be easy to wrangle little kids and lots of animals! All of my siblings are old enough to help with the animals now, so we can all work together and it is much easier. @Spruce Holly Nogard - It is very sad when you lose your animals. My dad had to take care of the pigs all by himself because nobody else could stand it. Home grown food is so delicious! We may get started growing some crops in the future. Hannah--What a joy to read about these special animals. I am happy to say that I have met each one personally, and I enjoyed reading your perceptions about them. As you well know, I don't believe any home is complete without a furry friend or two. My now 15-year-old Seal Point Siamese Jazzmine still rules our world!